Boone County Fire Protection District Pipes & Drums was formed in 1997 through the efforts of Ken Hines, Assistant Fire Chief at that time. Ken had visited many fire districts throughout the U.S. where pipe bands were a strong tradition. Historically, fire and police departments, manned largely by the Scots and Irish, have long incorporated pipes and drums in their ceremonies, parades, and memorials for fallen firefighters. The band started with six pipers and several drummers and was ready for its first Memorial Day parade in 1999. The events of September 11 furthered awareness of the role pipes and drums play in honoring our heroes. The band expanded over the next two decades to where it is the largest firefighter and civic service bagpipe band in Missouri with ever-increasing requests for performances. 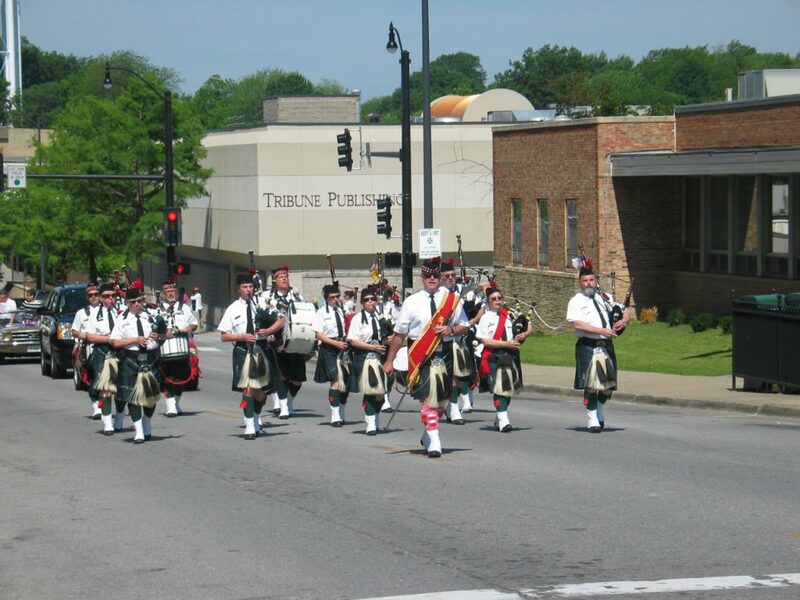 Pipes & Drums is a valued, volunteer service unit operated by Boone County Fire Protection District to honor the firefighter tradition throughout central Missouri. The band plays for parades, civic, and charity events, including statewide ceremonies held in Jefferson City, fire and police service events, for veterans participating in Honor Flight Welcome Home ceremonies, and at fallen firefighter funerals and memorials. The band culture is one of openness to all who are interested in traditional Scottish and Irish music and participating in the band. 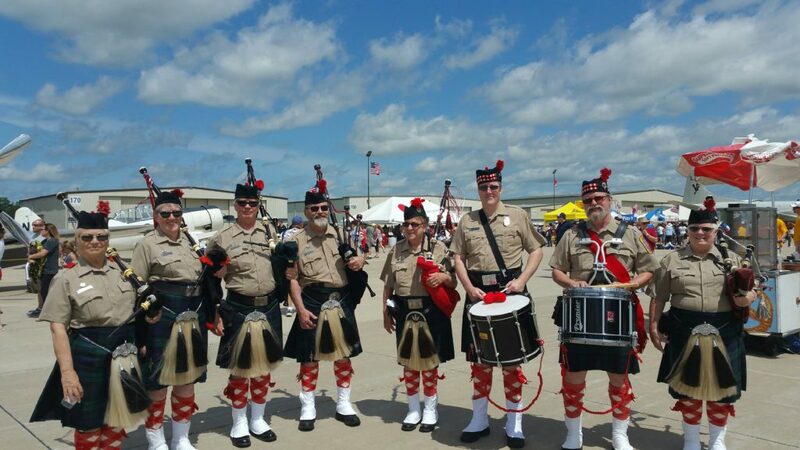 Our goals are to meet high standards when playing bagpipe band music, honor the historical and ceremonial traditions of playing the Great Highland Bagpipe, and proudly represent the Boone County Fire Protection District to its constituents. The band is currently made up of 9 pipers and 6 drummers, under the leadership of Jane Rabeni, Piper Major and John Cunning, Drum Major. Band members come from all walks of life, including students, homemakers, employed staff and professionals, retirees, and BCFPD volunteer firefighters. The band plays traditional Scottish and Irish tunes as well as patriotic and ceremonial music. The band is continually growing, learning new repertoire to be performed for parades, in smaller group settings, and as solo work for weddings, funerals, celebrations, and other events. The band season is active August through May of each year with approximately 20 performances annually. Band practices are held at BCFPD Headquarters on Tuesday evenings, 6:00-8:00 pm, with additional instruction for new members available 5:00-6:00 pm prior to full band rehearsals. When the band is on break during the summer months, individuals and small groups are always available to perform.